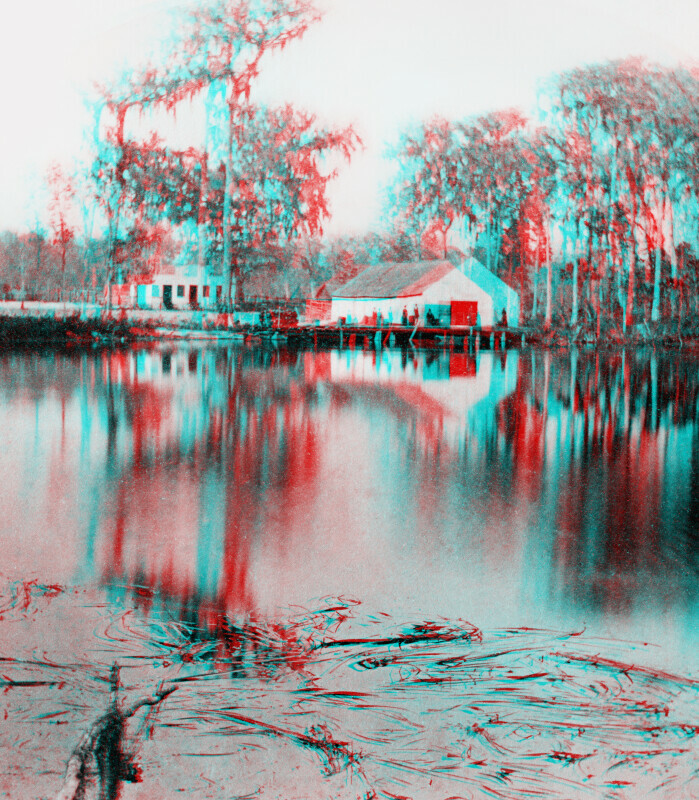 This image shows the docks at Silver Springs, on the Silver River. There is a large, white warehouse next to the dock, with front and rear gables. The door of the warehouse, facing the water, is open. A dirt roads runs near the warehouse. There is a single story, white building, with a stepped parapet, on the other side of the road. There are two doors in the front facade of the smaller building.